As one of the Top 10 US firms in hospitality design, there's no shortage of incredible project opportunities to work on at HBG. For nearly 40 years, HBG has built a thriving, award-winning national practice specializing in the design of hotels and entertainment resorts, themed leisure destinations and urban mixed-use developments. Across our Memphis, Tennessee and San Diego, California offices, our 100-person team of professionals provide the expertise and inspiration to deliver exceptional design experiences for our clients. 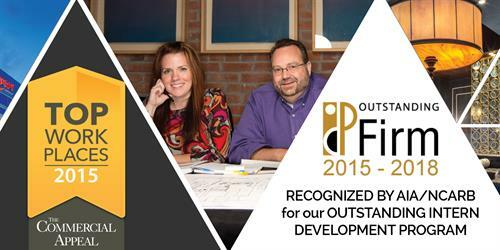 Design is our life at HBG, and we've been recognized with over 200 design and industry awards. But it's our people and our culture that represent the core of who we are! Our commitment to the growth and development of our employees has led to HBG winning over four A/E/C industry 'Best Places to Work' awards and most recently, the National Intern Development Program (IDP) Outstanding Firm Award (2015 - 2018) from the American Institute of Architects (AIA) and National Council of Architectural Registration Boards.